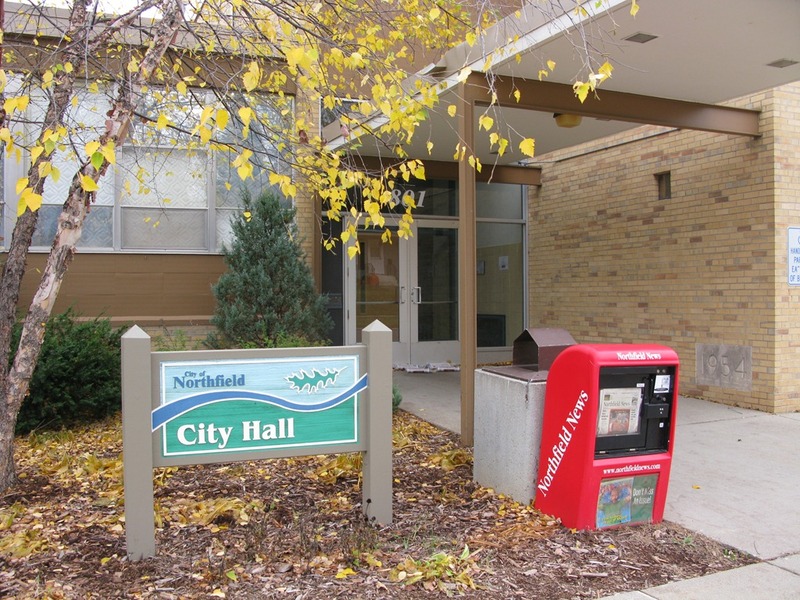 Sunday morning, Northfield City Hall. John, I don’t know what the arrangement is. I think the Nfld News has a contract with the City to public its official announcements. What does the City pay for that? I don’t know. Does that agreement include 4 subscriptions to the paper and exclusive rights to put a coin-operated newsrack on City property? Does that agreement include allowing the paper to take whatever PDF’s it wants off the City’s website and place them on its own website instead of linking to the documents on the City’s site? Griff- One consolation with this is that the tax dollars are staying in Northfeld. 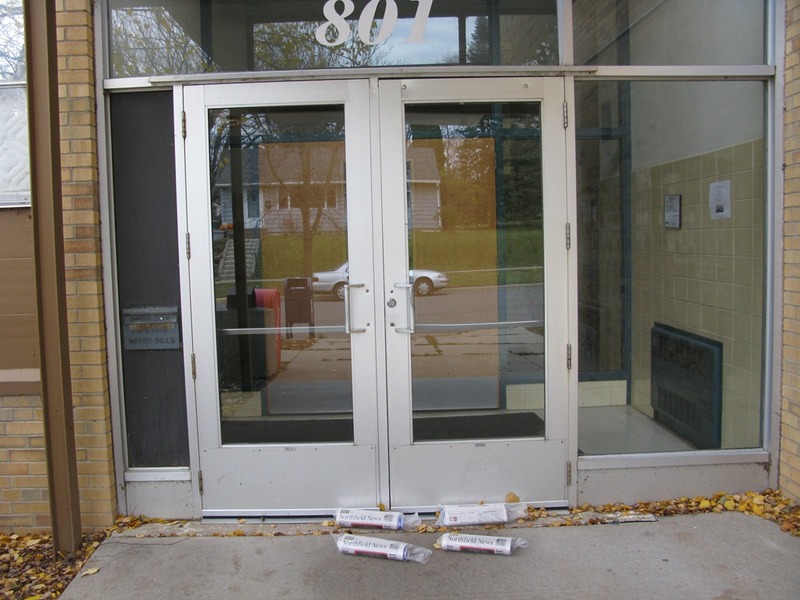 This would really be a scandal if the newspapers and stand were the Strib or Pioneer Press! Sean, the Nfld News is giving its online readers the false impression that the City publishes the Friday Memo on the paper’s website. To me, that’s considerably more inappropriate than them publishing local press releases as if they were staff-written stories. And I doubt they’re interested in providing easy access to archives of the Friday Memo. They would mention this archive someplace otherwise. And where would you draw the line? 5 files? 10? 25? No limit? Could one build a copy of the entire City web site? True, it’s not likely that anyone would republish more than a handful of files. But I really think there’s a public benefit to citizens using the the City’s website instead of a proxy, especially for regularly updated content like the Friday Memo, agendas, packets, etc. Great idea. It might be worth saving a copy of all officially released documents, at the very least. Maybe the library should undertake such a task. Or the Historical Society. Or Northfield.org. Patrick and Griff: City hall must be its own archivist; there is no one else who could, or would, be as properly positioned to archive all its documents. The Library now does an adequate job, but they are subject to the holdings that the city sees fit to pass on to them. One need only go to a meeting at City Hall, either Council, Board/Commission, task force, Staff memos, outside consultants/reports , to see the REAMS of paper generated by even a small gov’t process. There have been many incidents in the past 10 years where there have been complaints by ‘new’ staff of the inadequacy of record keeping. However, there is no one but the ‘city’, to keep the records of the city, and it behooves them to do it well. 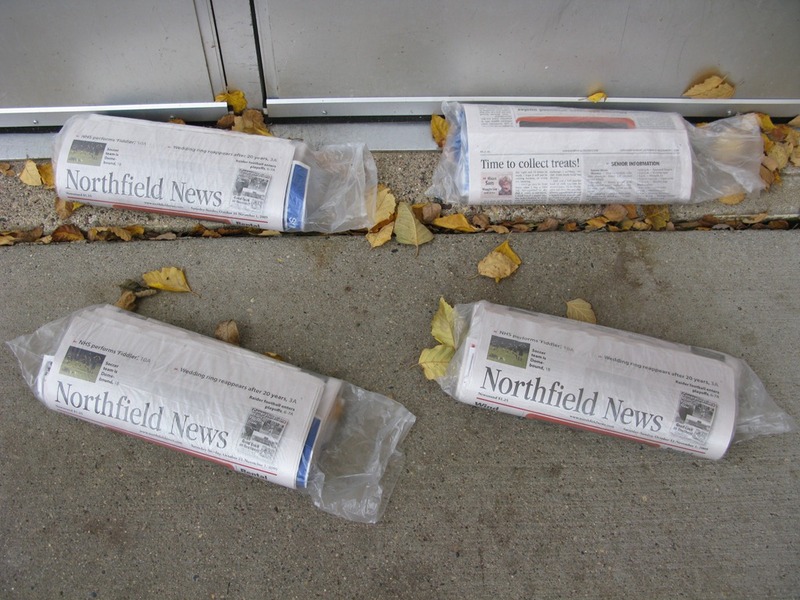 Griff: Why not just start a thread that is complaints of the NFNews ‘s operations, and you can start it off with your myriad of gripes… and I bet there’s some others that could add to the list! It might even rival the Atheist, or the DNC/RNC thread, in length. Yeah, Griff, if they wanted to publish every City website document, I wouldn’t object. It’s public information and, as long as they’re not charging people for it, I don’t get what’s wrong with providing it as they wish. While their language could be clearer, I don’t think they’re intentionally suggesting that the Administrator Memo is posted exclusively to the News site. Sean, the paper refuses to make contextual links to anyone. So this practice with the Friday Memo allows them to be consistent with that policy. But it’s deceptive because they don’t mention where they got it. Unfortunately, she doesn’t link to the Strib story, just to the top level of their web site. But why bother to do a poorly written rewrite at all? Why not just link and exerpt? It’s no big deal to get scooped by a metro daily on an issue like this. Griff, haven’t you figured it out? Jaci’s sole purpose in life is to drive you insane.